Mike Jolley has agreed to terms to sell WP Job Manager to Automattic. Mike is already joining Automattic after the WooThemes acquisition — under his role as WooCommerce lead developer — and the sale of WP Job Manager is in part due to Automattic’s rules for employee side projects. Mike Jolley is the lead developer of WooCommerce by day, and has managed the very successful WP Job Manager plugin by night. Mike created WP Job Manager (also on WordPress.org) as a side project for fun in June 2013. He released paid extensions through Gumroad (a hosted tool for selling digital downloads) in September 2013 and in May of 2014 — after the plugin had really taken off — he moved to WooCommerce. WP Job Manager filled a void in the WordPress plugin space. It now has more than 30,000 active installs, according to WordPress.org, and the suite of add-on plugins and themes has been very successful. As most readers know, WooThemes and WooCommerce were acquired by Automattic in May. Mike joined the other WooThemes employees at Automattic. Automattic has a strict policy that employees cannot have paid side projects, whether client or product work. For Mike to stay at Automattic, he had to figure out what the future of WP Job Manager would be. Mike decided to sell WP Job Manager to Automattic after they expressed interest, and they have reached an agreement for a deal. While the terms of the deal are not public and Matt Mullenweg and Mike would not comment on the deal, I’m able to offer some additional insight based on conversations with others that have knowledge of the situation. According to sources, WP Job Manager was bringing in $35,000-$40,000 revenue per month at its peak. I believe that Automattic paid greater than one year of expected income to retain rights to the plugin and paid add-ons. In March, Mark Forrester spoke at WordCamp Cape Town on plugin sales models, where he noted that Mike’s add-ons were making around $20,000 per month, a number which has grown considerably since then. The move from Gumroad to WooCommerce — and the addition of a bundle option, were quite successful, it appears. Furthermore, add-on products from third parties helped drive growth to WP Job Manager. For example, Astoundify has two themes that utilize WP Job Manager — Listify and Jobify — which gross between $45,000 and $50,000 per month alone. In addition to their themes, they make another $5,000-$7,000 from WP Job Manager related plugins. So Astoundify makes around $55,000 per month on top of the WP Job Manager plugin, and in result drive considerable sales back to WP Job Manager’s other paid add-ons. There are other developers with add-ons and themes for WP Job Manager as well. It’s a successful ecosystem with a mix of themes and plugins. Mike was able to create the product with relatively low support costs as well. He hired two part-time support providers, but otherwise managed development and other tasks himself. By all means, WP Job Manager is a ridiculously successful product, especially as a side project. It’s important to remember that this is not the status-quo, but Mike did an incredible job finding the right market combined with a truly terrific product. When did the acquisition take place? After WooThemes was acquired, same time? MJ: The acquisition of WPJM came after the Woo deal was finalised. MM: We want for everyone at Automattic to be fully focused on our shared business and projects, it’s part of what brings everyone together. We had been aware of WPJM from pretty early in the process and thought it could be a nice complement to the WooCommerce business since its approach was so similar. What options did you have for the acquisition? 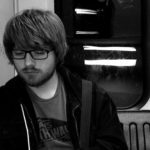 I know A8C [Automattic] doesn’t allow paid side projects, so did a change have to happen for you to stay on with Automattic to work on WooCommerce? MM: Anything was an option, including making WPJM free or selling it to a third party, but I’m glad we came to the solution we did. Since WPJM is part of Automattic now there’s no real or perceived conflict to the continuing work on it or revenue from it. MJ: I didn’t want to stop working on WooCommerce. It’s still the project I’m most passionate about and I’m not ready to walk away just yet. Although it was a really tough and emotional decision to make, I feel I made the right decision to part ways with WPJM to continue working on WooCommerce. Did you explore other options? Selling to someone else, etc? MJ: I looked into a few options before I knew the details of the deal from Automattic, naturally. I thought about offloading it to a developer-friend, making it all free, or doing it full time. Ultimately though, the appeal of working for Automattic, the benefits surrounding that, being able to continue working on WooCommerce and with the people I respect, and the acquisition itself won the day. Did you have any support, dev, or other paid help for managing WPJM? MJ: Yes; I’ve had help on the support front from both Bryce Adams and Scott Basgaard whom have done work for me on a freelance basis. They have both been a tremendous help, and crucial given the time I have available. Really thankful to those guys. On the development side it’s been largely me, although Bryce and Remi Corson have both built an add-on, again freelance based. Will you still be the lead on WPJM development at A8C? MJ: This is not yet certain. WooCommerce demands most of my time as team lead so it may be difficult to work on both, however if possible I’d still like to contribute to the project and help where I can. The core project at least is GPL and public on Github so I can definitely see myself contributing there to keep my Github commit streak going. What does the third party ecosystem look like on WPJM? Jobify, etc. How many folks have products based on it? How could life change for these products? MJ: The 3rd party system for WPJM differs to that of WooCommerce in that I do not sell 3rd party items myself via a marketplace. All 3rd party stuff is external. Plugin wise, Smyl.es has a cool field editor, Remi Corson, Tiny Giant Studios and Astoundify have several, and there are a few integrations with other plugins ranging from search to geolocation. On the theme front, Jobify (and Listify) by Astoundify are the most prominent. Tiny Giant Studios have a few, I’m aware of some for sale on TemplateMonster (unsure of quality), and then there is one-that-shall-not-be-named on Themeforest which bundles paid add-ons (shame). The theme side is diverse. Even though I’m targeting the jobs niche, Listify is a generic listings theme which can list everything, powered by WPJM. There are even also even more-niche themes such as Petsitter and Babysitter themes which customise the plugin further. Overall, a lot of things going on in this space. If the plugin grows from a8c involvement (which I hope to see) these developers should benefit from an increased user base. Really glad they chose to back my little project. Will the format for sales of WPJM change in the future, under the umbrella of A8C? Will it become free? MJ: Short term, things should remain as-is, with Automattic taking over the site, sales, and support. Medium- to long-term I cannot say for certain what will happen, but with more time and resources devoted to it (more than my weekends and evenings) I hope to see the ecosystem grow and support for the plugin to continue. What kind of revenue was WP Job Manager seeing in the months prior to the acquisition? MM: No comment on the economics of the plugin. How many paid users do you have? MM: Still no comment on the economics of the plugin. What kind of acquisition occurred? Cash and stock? Cash or stock only? MM: Sorry we don’t comment on this. Can you tell me the ballpark of the acquisition value? There’s a lot we can take away from the WP Job Manager acquisition. For one, it proves that a single individual can have a massive impact on the WordPress ecosystem. It’s impossible to deny how influential Mike has been. He’s the lead developer of the world’s most popular eCommerce plugin, while he runs an incredible successful job manager plugin on the side. His success is astonishingly impressive to me. I’m quite happy for him and everything he’s achieved. It also appears to me based on discussions that it was not well known that Automattic restricts side projects for their employees. It’s a long standing policy and I think it works for them; however it does make for certain challenges when they hire self-employed product makers or acquire companies with different policies. The acquisition of WooThemes brought a number of challenges. Mike being on board would have been a huge priority for me, if I were acquiring WooThemes. The half a million dollars or more (I am just guessing) to acquire WP Job Manager would be well worth it, even if I didn’t have big plans for the product. That said, I think in this case Automattic could make great use of WP Job Manager. It would be another terrific fit for their WordPress.com VIP clients, and if they actively develop it, it could receive even more adoption long term. However, just as I thought with WooCommerce, I wouldn’t be surprised if they make Mike’s traditionally paid add-ons free, as paid plugins don’t particularly jive with Matt Mullenweg’s historical viewpoints. And WP Job Manager — while it has quite a bit of potential for a normal person — doesn’t likely have the same growth potential as WooCommerce to be an attractive monetization avenue as an Automattic product. So I would expect that the plugin model will change over the coming months. Congratulations to both Mike and Automattic; this is a win for both parties. Mike is a huge asset to any organization, and I’m really glad he is able to be financially rewarded for all of his contributions making great WordPress products. Love that you wrote about this Brian. Mike’s done an amazing job on WPJM creating (yet another) successful plugin. I hope Automattic will continue where Mike left and make WPJM even bigger and better. Another fantastic acquisition by Automattic. Glad to see the WordPress ecosystem grow at a rate faster than ever before. Mike is an awesome developper, and super nice guy, it’s well deserved! I am looking forward to see what a8c will do with WPJM! Just want to point that out that historically Matt’s philosophy on plugins is reflected in the WP.org repository: There are many, many basic plugins that are offered with paid upgrades. And there’s nothing wrong with that really. The growth of WP and WooCommerce can both be attributed to the availability of robust paid solutions. After all, nobody can truly work for free. While the plugin repository itself is approached with a laissez faire stance, Matt’s personal philosophy has been that plugins are not paid. Automattic’s paid plugins have always been a SaaS connection (Akismet, VaultPress, etc), versus “update and support” commercial plugins like WooCommerce or WPJM’s extensions model. I dealt with this much more in the Woo post linked in the article. This is probably why Mojo Marketplace only works with themes when they had an existing plugin marketplace to combine it with (but didn’t). As an end-user I can’t say I love every plugin converting to a SaaS model or even just subscriptions and I have yet to hear others really getting enthused by it either (maybe that’s why WooCommerce extensions have such a low renewal rate). But as a dev it makes total sense. Quite torn by the business models and I can also see why it could be a bad thing if the plugin space was dominated by commercial solutions. Hey Mike, I really like WPJM plugin and had plans to build a product around it. Could you be more clear about how development track of this plugin will shift under A8C. For the first question: I think it’s up in the air as to how the development of WPJM will be handled under Automattic. For the PS: Mike is a developer that loves to code. I assume he’s got quite a bit of financial freedom already and sometimes things aren’t purely about dollars and cents. Also, he got an acquisition price for probably more than a year of expected income for WPJM, in addition to his salary at Automattic. A years worth of revenue or more upfront to then not worry about the product is a pretty enticing option in my opinion, when the product is producing great revenue. Well deserved and impressive to read how successful Mike has been doing the stuff he loves. Congrats to both Mike and Automattic another excellent success story and well deserved:) Great write up also Brian keep rocking. Impressive to read how successful Mike has been! Looking forward to see what a8c will do with WPJM. Great article, just subscribed. Very excited for Mike. Have been using WPJM for a few years now and have seen it grow from the free plugin to all of these amazing paid extensions. I have the pro extensions bundle for WPJM, and have loved the support Mike has given me through specific questions I’ve had for him. Very glad to see that he got a hefty buyout price for such a great plugin. My project has been in development for a while and WPJM is at its core, I really hope that A8C is able to keep up with the updates and premium add ons! Congrats Mike! Congrats to Mike…. you nice guy and awesome developer. Now, what about the WPJob Manager development in future?